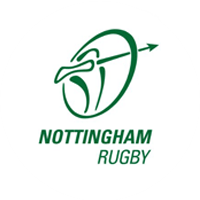 Nottingham Rugby suffered a tough defeat to London Irish on Saturday afternoon, losing 52-20 to the recently relegated side. 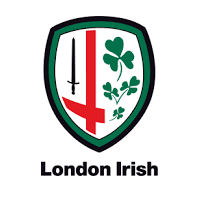 Despite scoring three tries, Nottingham were on the back foot for the majority of the game, with London Irish showing their dominance throughout. However, Neil Fowkes’ side showed grit and determination to push back right to the end. It took 13 minutes for the first score, when the Exiles’ Meehan rounded off a strong attacking move for the home side. Irish’s pack asserted themselves early on and it their power rattled the Green and Whites throughout. Myler converted to give the side a 7-0 lead. Nottingham responded positively, a trademark of this young side, and after a series of carries, they were awarded a penalty that Shane O’Leary slotted away. With the score at 7-3, it was clear that the Green and Whites were not going to be deterred by the reputation of the Exiles, who will undoubtedly be very strong over the course of the season. However, Irish hit back to double their lead after USA international centre Campbell touched down over the line. Myler converted once more. But the Green and Whites’ spirits were not dampened as Billy Robinson scored a wonderful try that capped off an excellent attacking move. The conversion was missed, leaving the score at 14-8. Then came a wave of Exiles power and dominance. Porecki and McNally sealed a try bonus-point ahead of half time, giving Irish a large margin over the away side. The second half saw supremacy from the home side as they built a lead of 47-8. Nottingham would not be disheartened though and their spirit and will saw them battle until the end. David Williams epitomised this when he sprinted from the Green and Whites’ try line to score in the corner. Shane O’Leary converted. Irish would score again but Nottingham gave it to the last, with Alex Goble scoring in the dying embers of the game to leave the score at 52-20.